meaning they pack a lot of punch for their weight as far as goodness goes.They are superior sources of anti-oxidants and essential nutrients. Antioxidant is any substance such as vitamin C or E that removes potentially damaging oxidizing agents in a living organism. We all may be adding more salads and vegetables to our diets, but concern over the quality of foods grown on mineral depleted soils makes Superfoods an intelligent choice. Greens are good, Green Superfoods are even better! Green superfoods have the highest concentrations of easily digestible nutrients, fat burning compounds, vitamins and minerals to protect and heal the body. They contain a wide array of beneficial substances including proteins, protective photochemicals and healthy bacteria helping you to build cleaner muscles and tissues, aid your digestive system function and more effectively protect you against disease and illness. Photo- or phytochemicals such as lycopene in tomatoes, isoflavones in soy and flavanoids in fruits were considered used by plants for their protection but recent research has shown that they protect humans also. pollution, cigarette smoke, radiation, burnt foods, deep fried fats and cooked foods. Blood Purifying:The chemical composition of seaweeds is so close to human blood plasma, that they are excellent at regulating and purifying our blood. Chelating:Have Powerful Chelating (ring formation) Properties: By the process of chelation they can remove the toxins.They offer protection from environmental toxins,including heavy metals, pollutants and radiation by-products, by converting them to harmless salts that the body can eliminate easily. Contain Anti-oxidants: Seaweeds contain lignans(naturally occurring chemical compounds) which have anti cancer properties. Boost Weight loss: Seaweeds play a role in boosting weight loss and deterring cellulite build-up. High concentration of iodine in them, helps to stimulate the thyroid gland, which is responsible for maintaining a healthy metabolism. At the same time, its’ minerals act like electrolytes to break the chemical bonds that seal the fat cells, allowing trapped wastes to escape. Herbs offer a whole host of nutrients it may not have received either because of poor diet or environmental deficiencies in the soil or air. Herbs as medicine are essentially body balancers that work with the body functions so that it can heal and regulate itself. Herbs have been used as natural healing compounds . Aloe vera – Aloe vera is a perennial succulent that grows in a wild and seems to do best in tropical and sub-tropical areas. It has been deemed a superfood with seventy-five healing compounds including natural steroids, antibiotic agents, amino acids, minerals and enzymes. 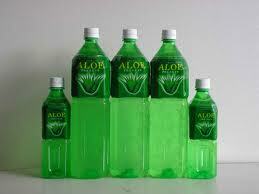 Aloe vera has been used since Egyptian times as a skin moisturizer, and healer for burns, cuts, bruises, acne and eczema. This is mostly due to the high concentration of natural sulphur that it contains. Aloe juices alkalizes the digestive tract preventing over-acidity, a common cause of indigestion, acid reflux, heartburn and ulcers. Nettle – The bowel mover. These plants are best known as stinging nettle plants. 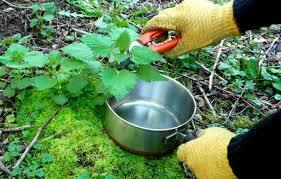 However when the nettle leaves are dried and eaten the saliva neutralizes the sting. Nettles are incredibly effective in removing unwanted pounds. A cup of nettle tea in the morning is ideal to get things going. The nettle leaves increase the thyroid function, increase metabolism and releases mucus in the colon allowing for the flushing of excess wastes. Echinacea – Echinacea is a household name when it comes to warding off colds and flu. This herb is used as a natural antibiotic and immune system stimulator, helping to build up resistance. 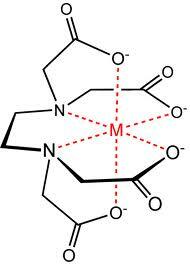 The reason for its effectiveness is because of its ability to stimulate the lymph flow in the body. Lymph runs parallel with our bloodstream and carries toxins out of the body. The herb can be taken in liquid or capsule form for 2-3 week periods during “high risk” flu seasons. The tea from this herb has also grown in popularity for treating infections and cancers including skin cancer. Ginseng – Ginseng is the quintessential herb for handling stress. This ancient healing herb has been used widely throughout Asia as an energizer tonic. This special herb is particularly beneficial when recovering from illness or surgery for its restorative and anti-infection properties. It promotes regeneration from stress and fatigue.